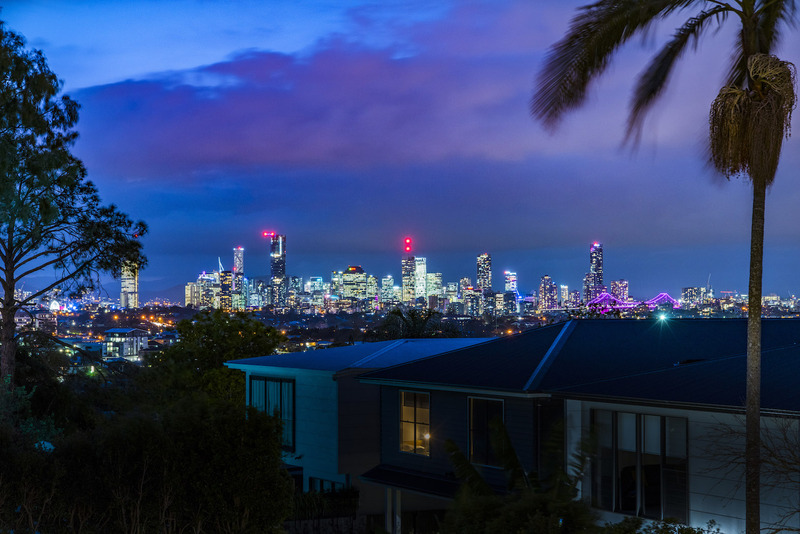 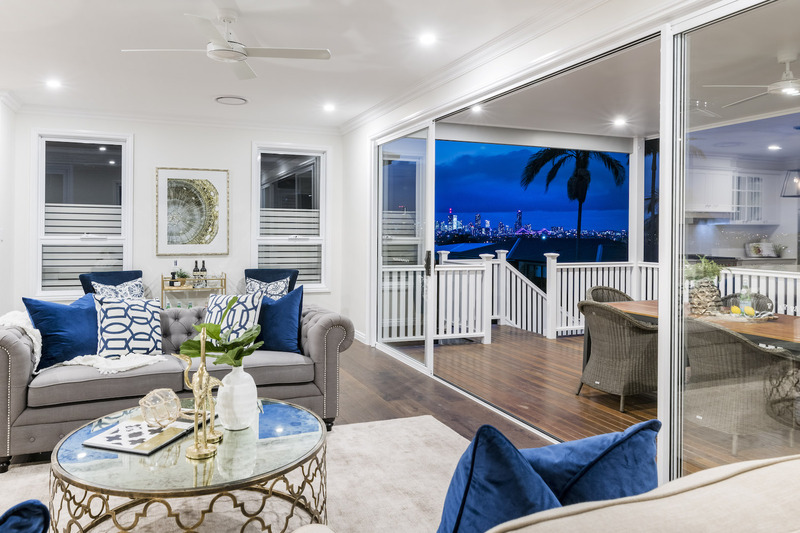 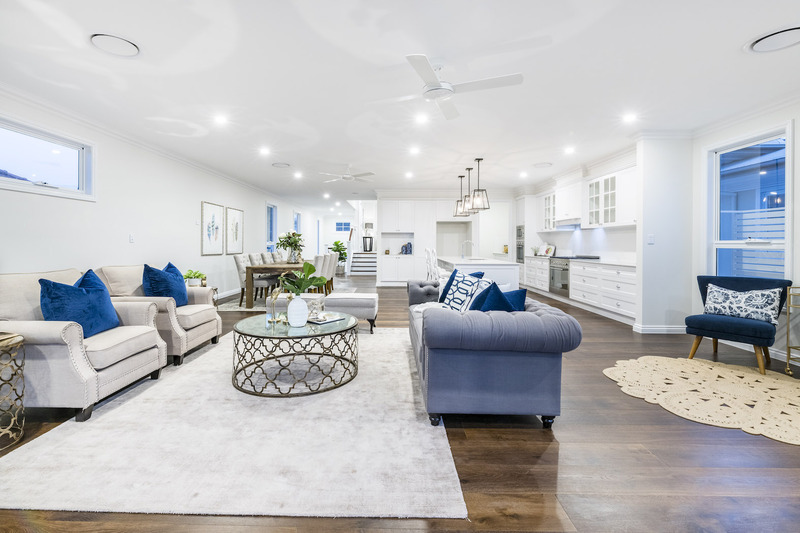 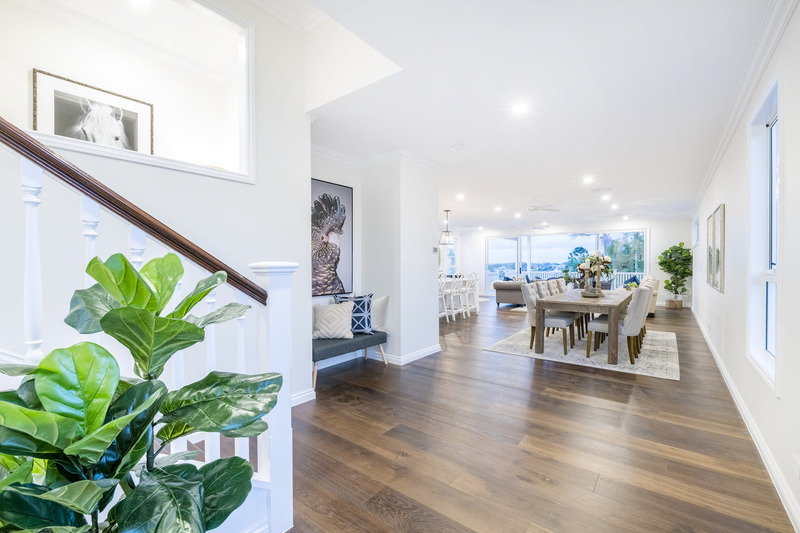 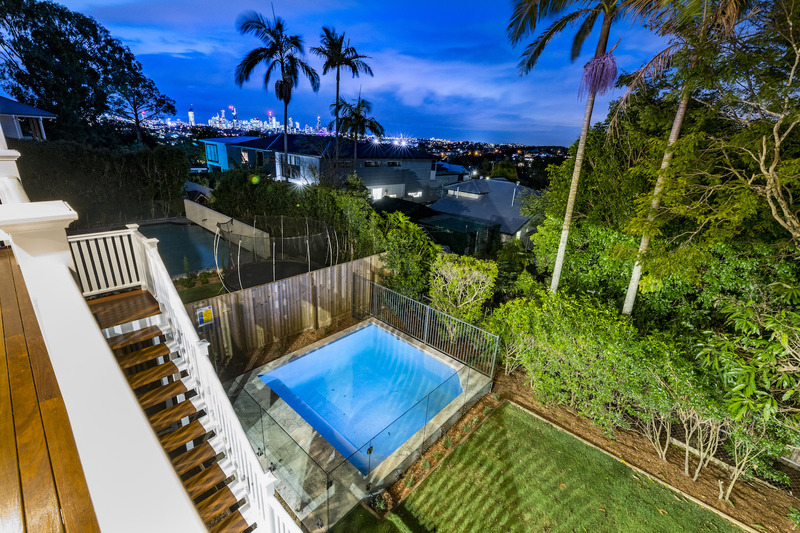 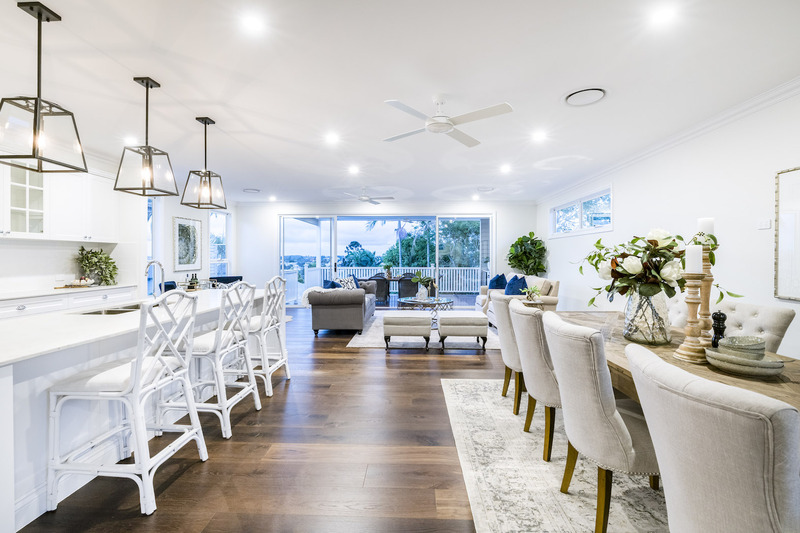 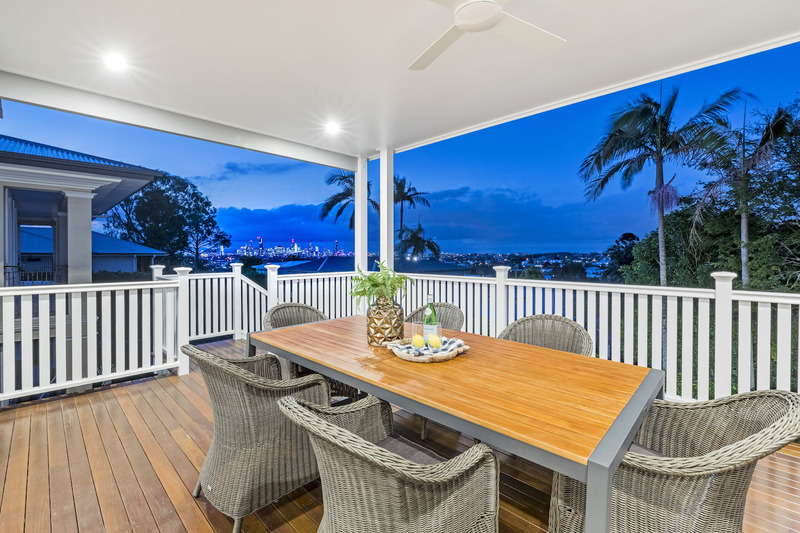 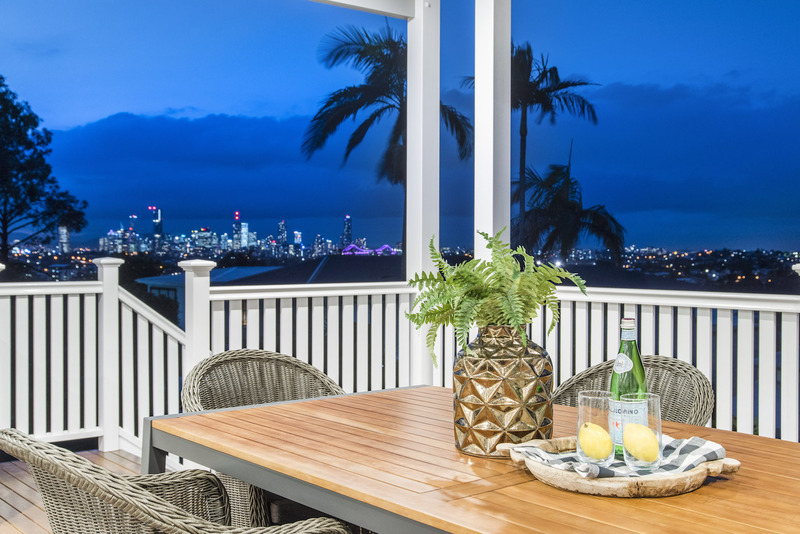 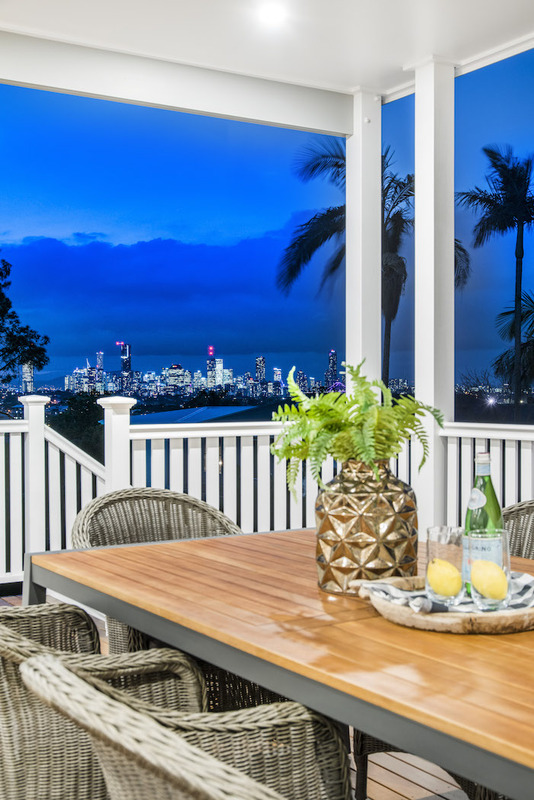 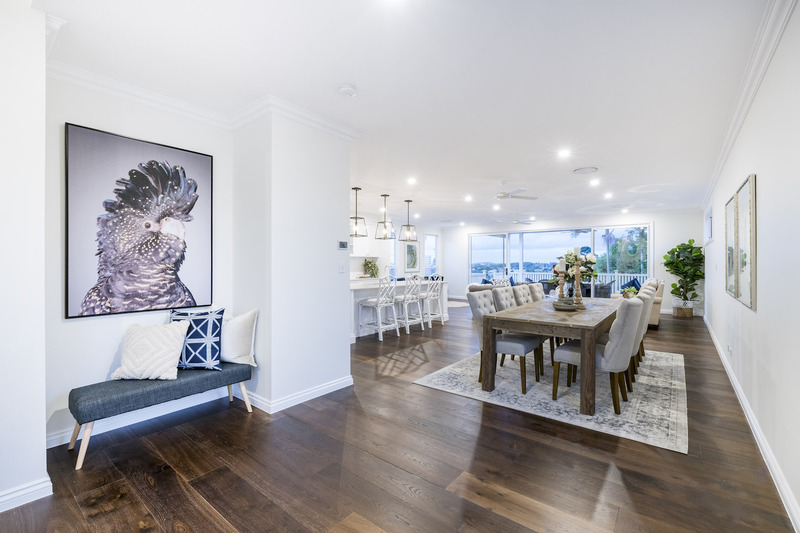 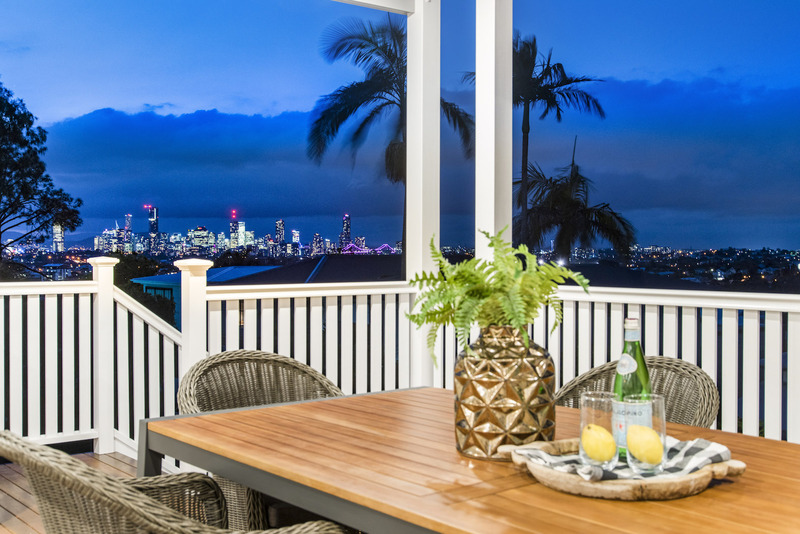 Designed to suit the sloping block and to maximise the stunning city views, this Hamptons inspired home is set across two levels with four bedrooms and embodies premium living with high end finishes. 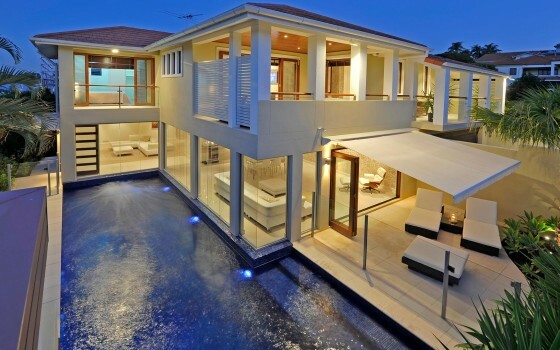 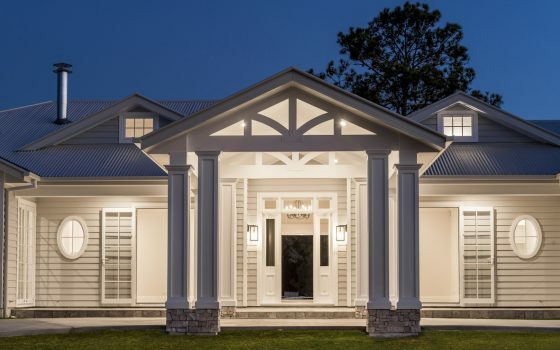 Everything about this home was designed, selected and constructed to impress. 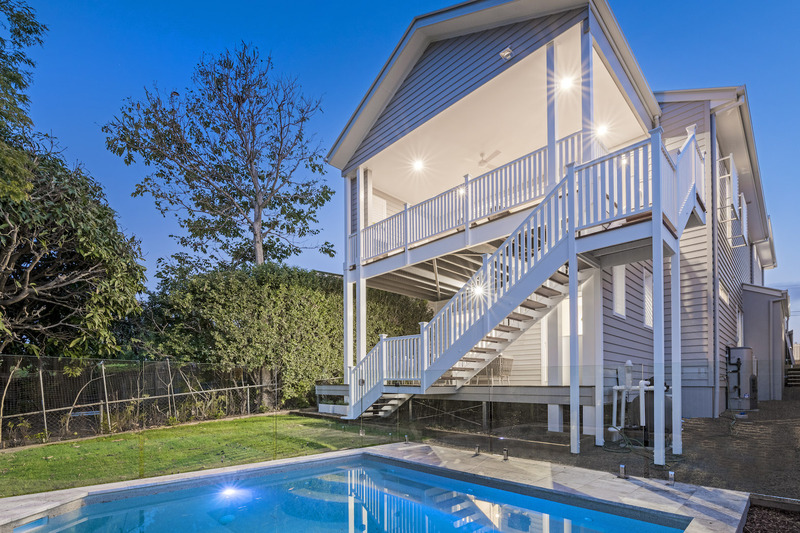 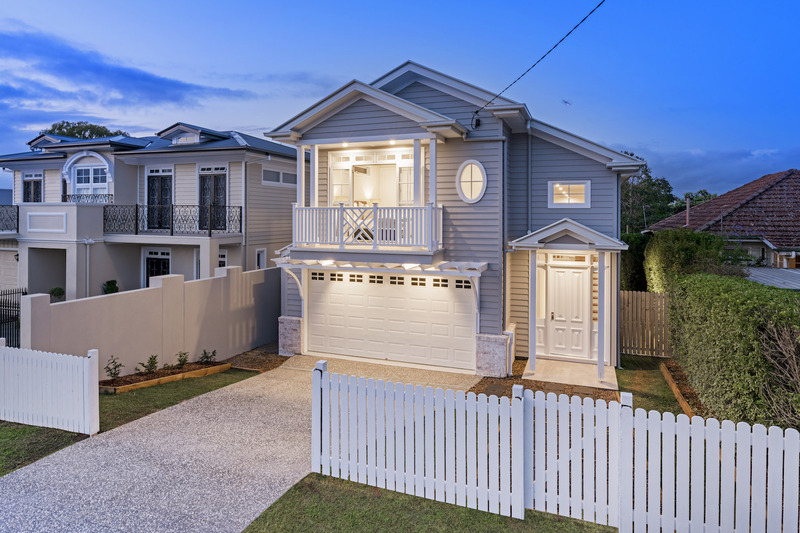 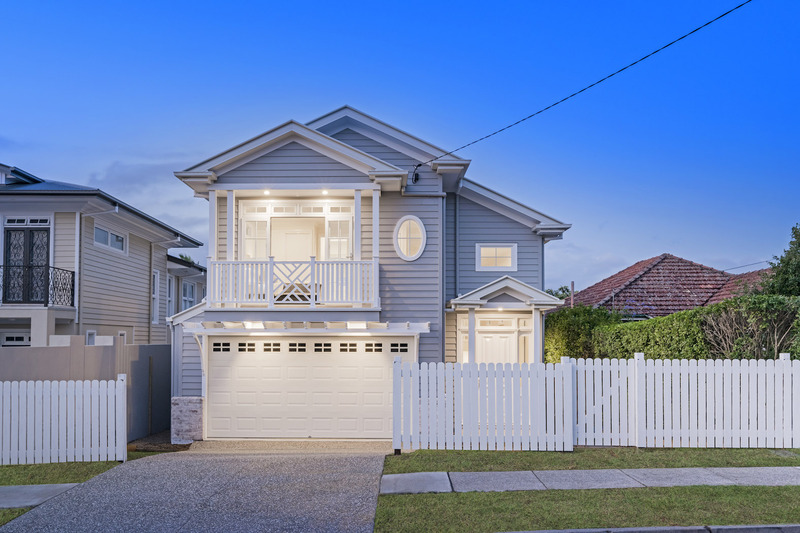 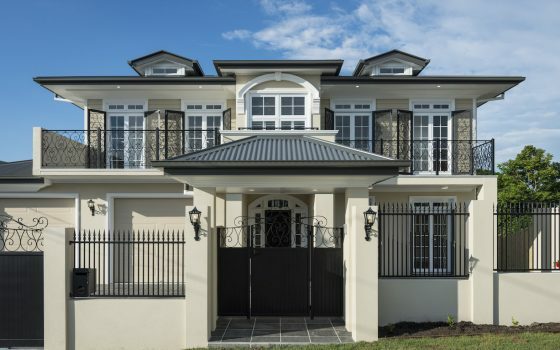 The home features traditional weatherboards, ornate fretwork, a stunning classic, timeless facade and exudes elegance. 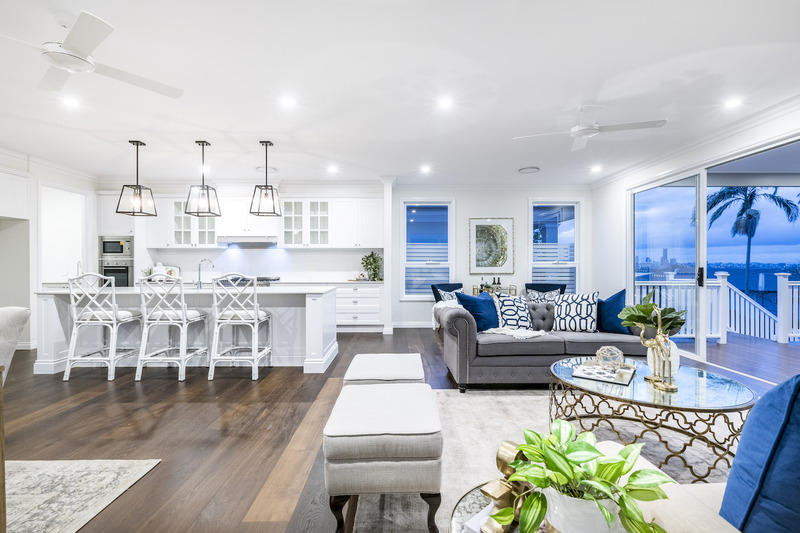 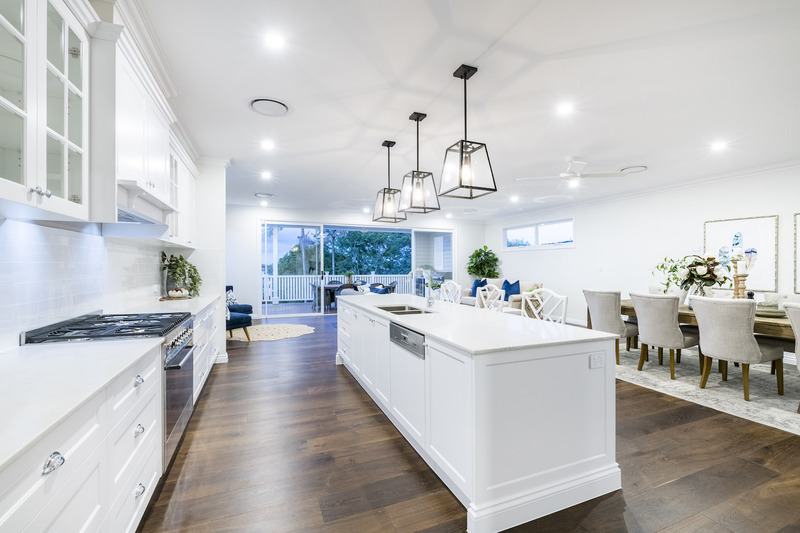 The upper level takes advantage of the stunning city views and offers a vast open plan layout that seamlessly unifies the kitchen, dining and living areas. 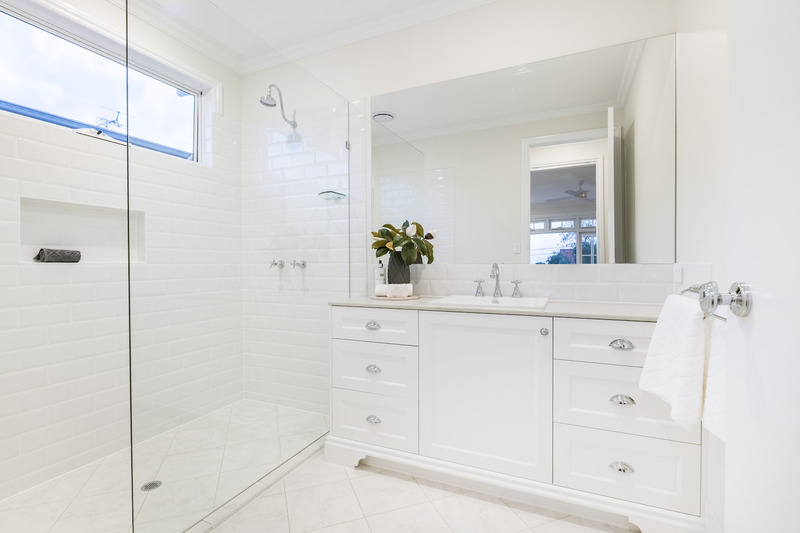 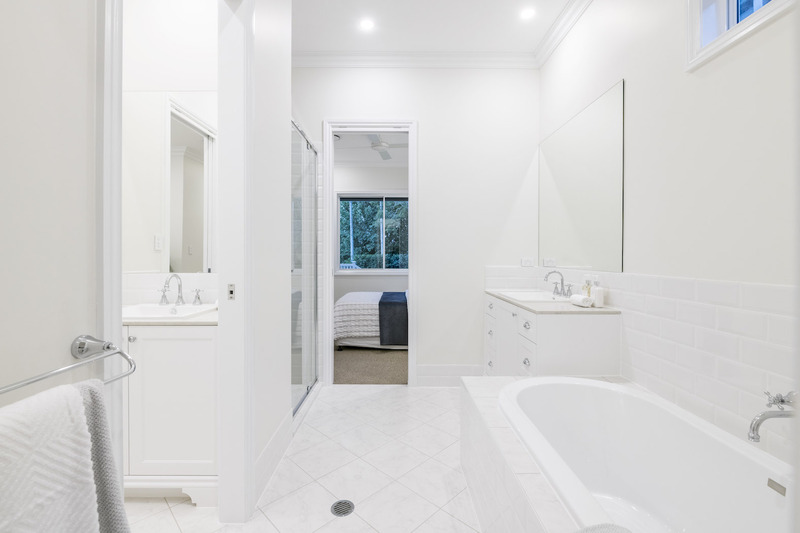 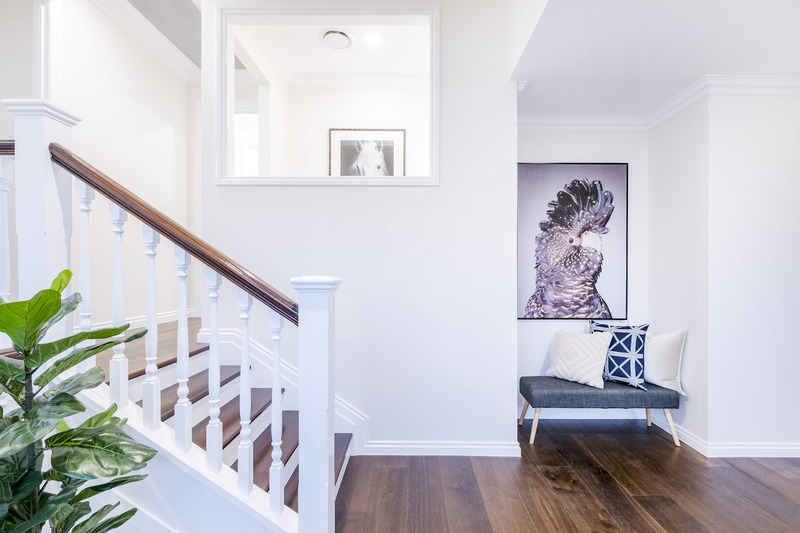 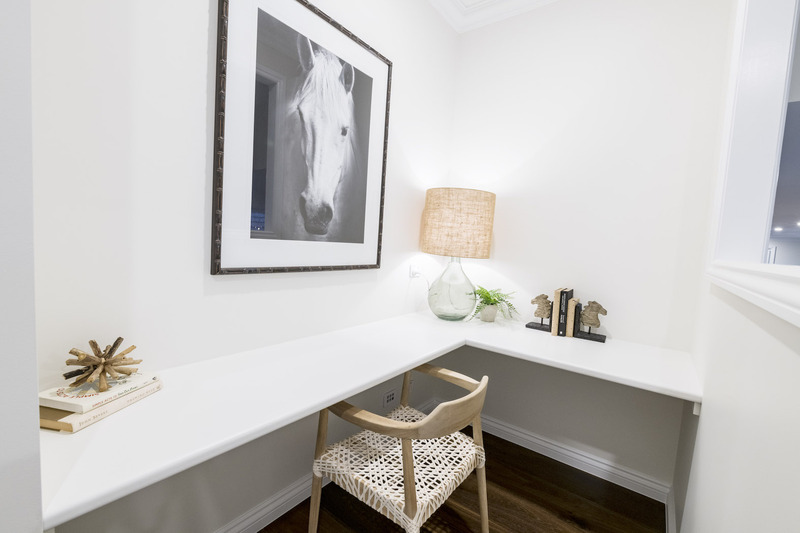 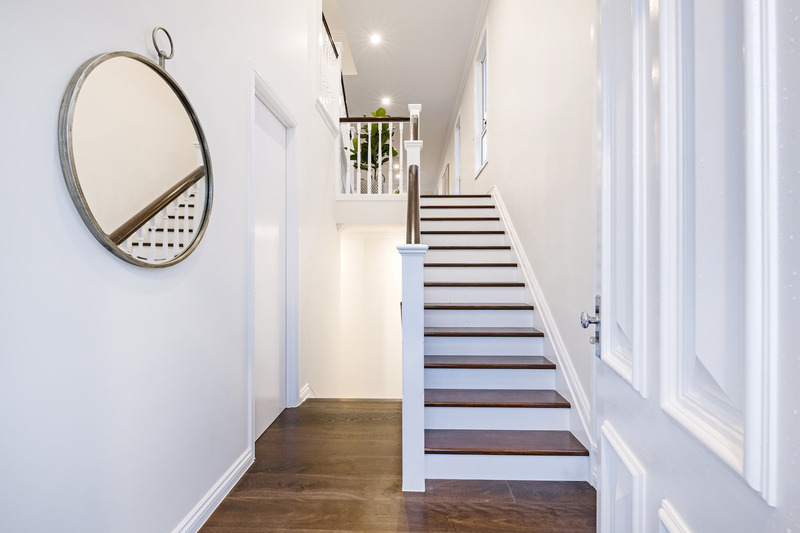 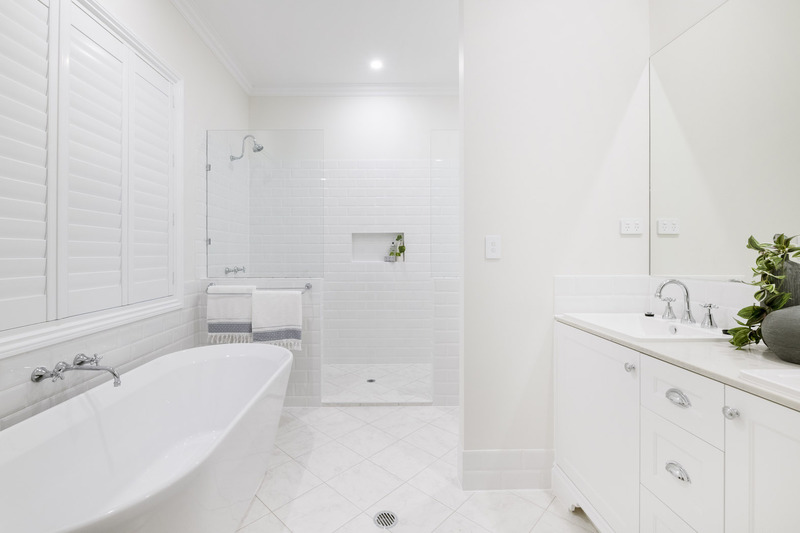 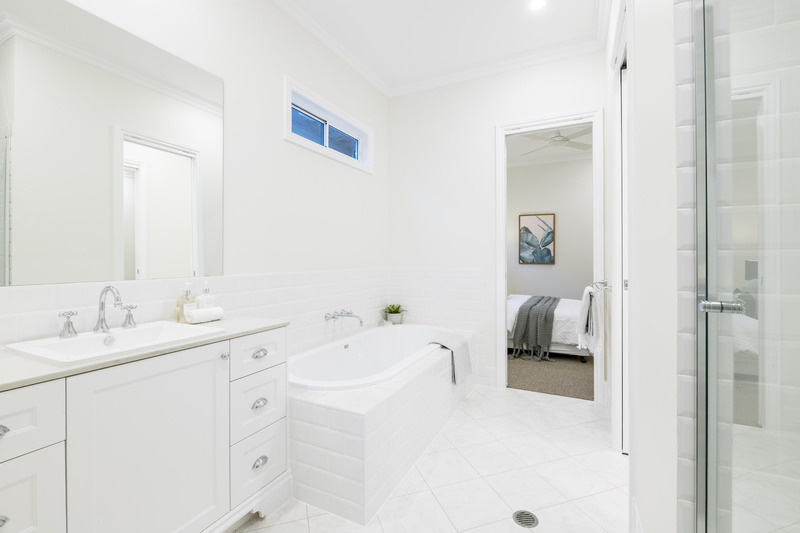 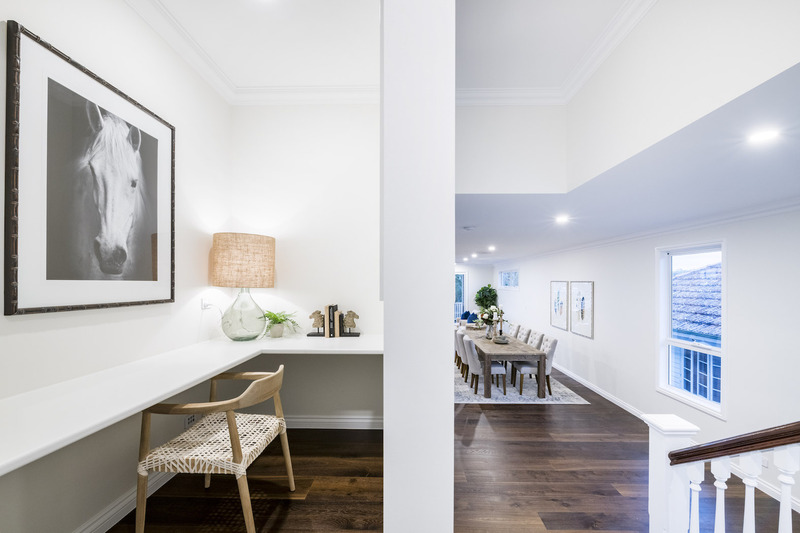 There is an undeniable sense of flow which is highlighted by the paint colour selection and dark timber floors. 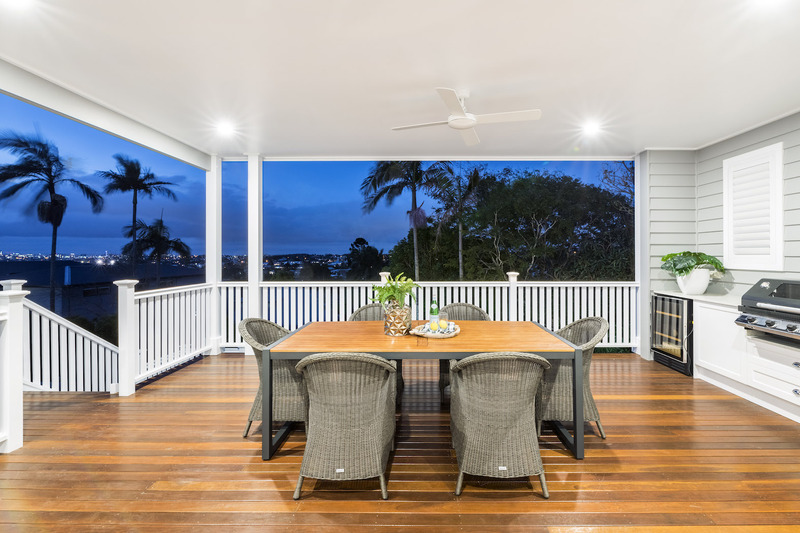 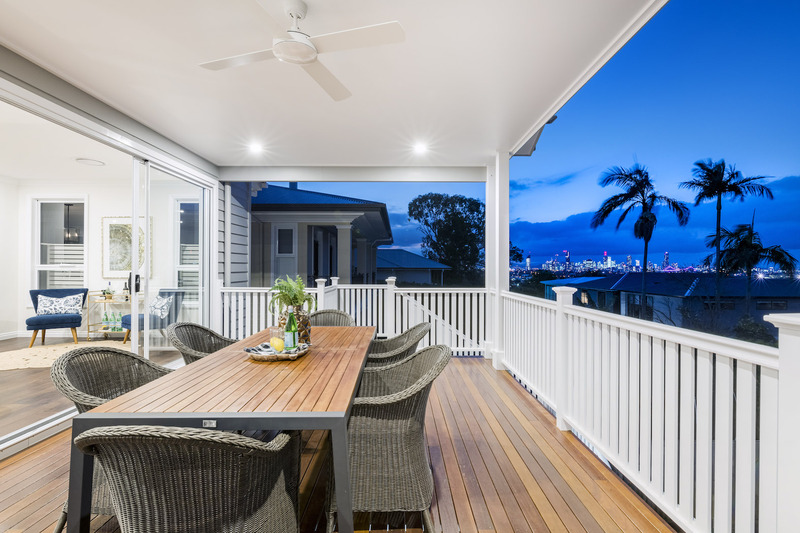 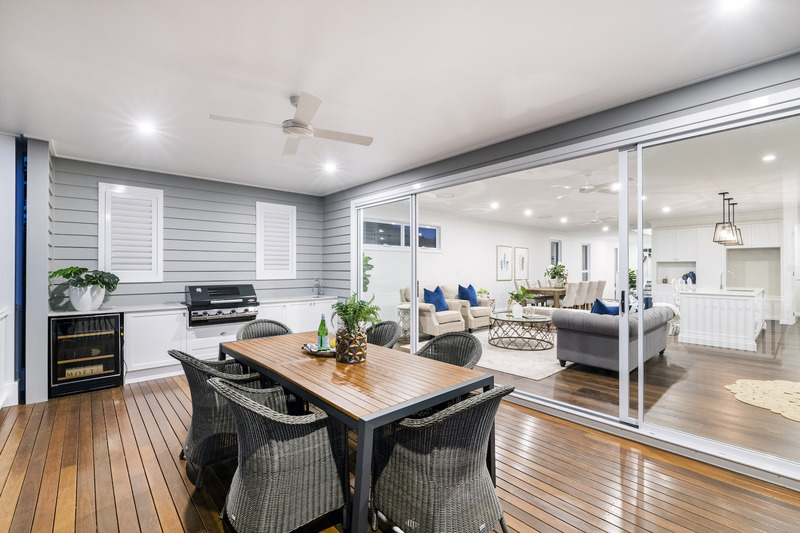 The upper level also features sliding doors that lead out to the alfresco rear deck, which faces North capturing not only gentle breezes but remarkable city views. 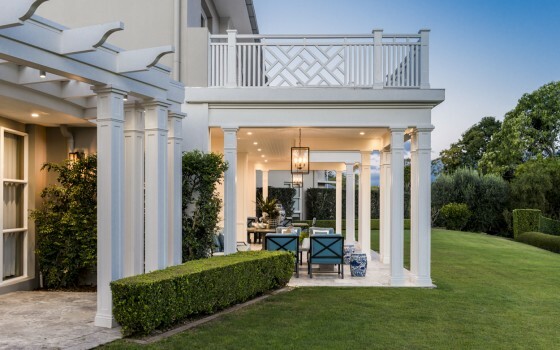 An external staircase connects this upper deck to the pool and grassed yard at the rear. 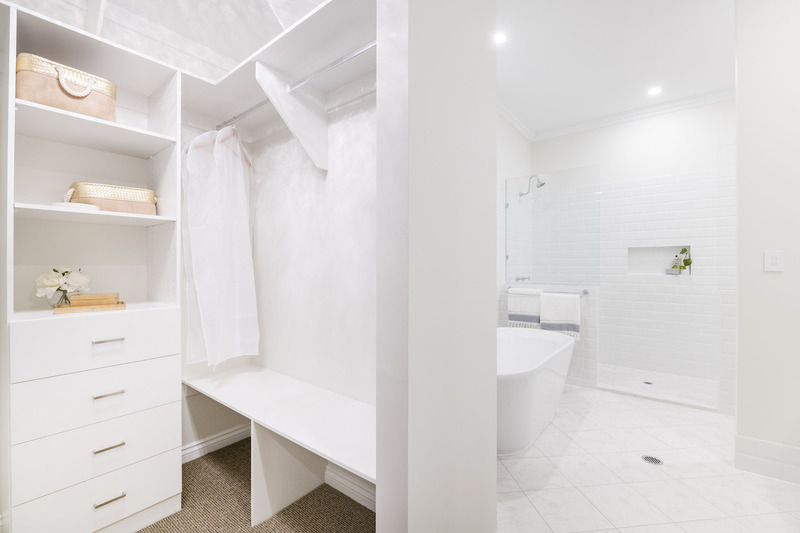 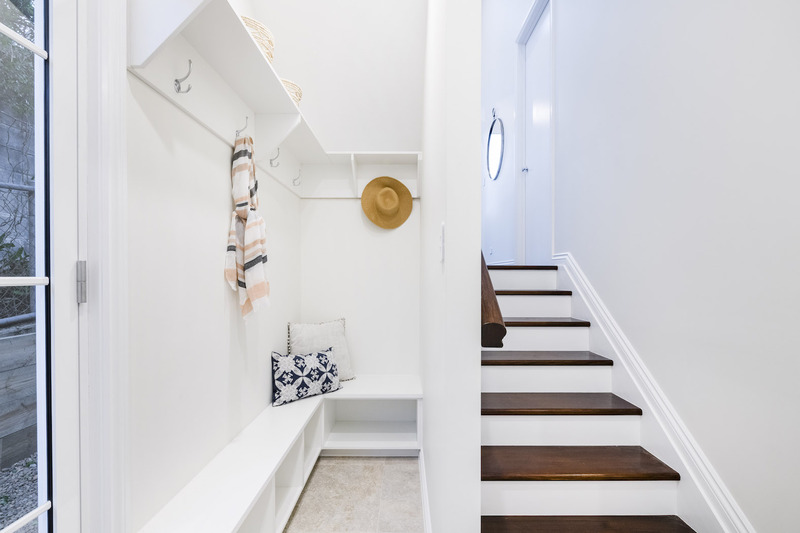 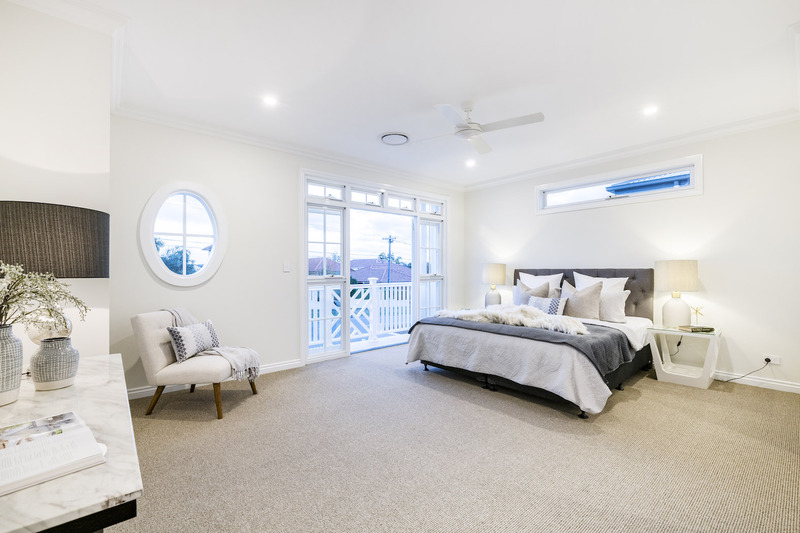 The upper level also features a study nook and large front room that can be used as either a media room, guest bedroom or master suite with double built in wardrobes and direct access to an ensuite with large shower. 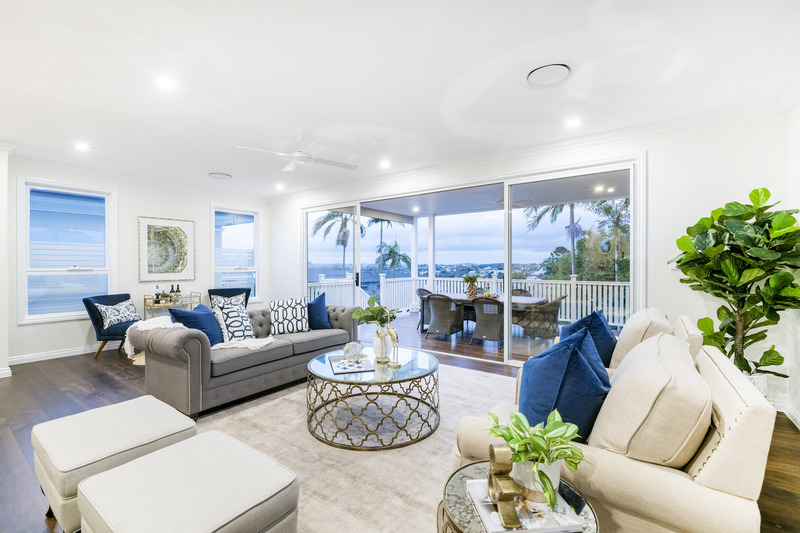 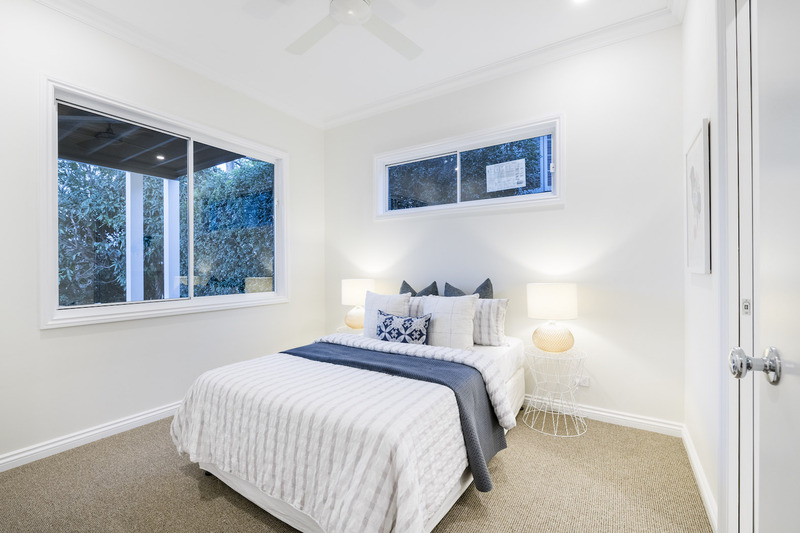 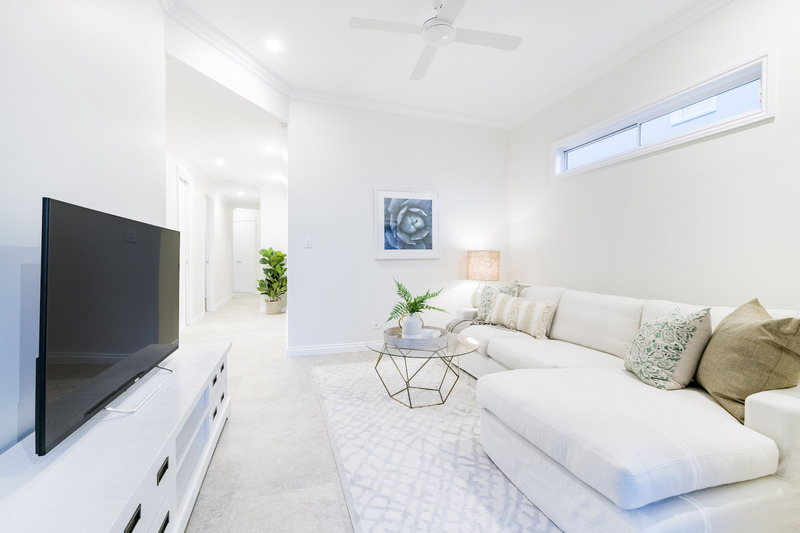 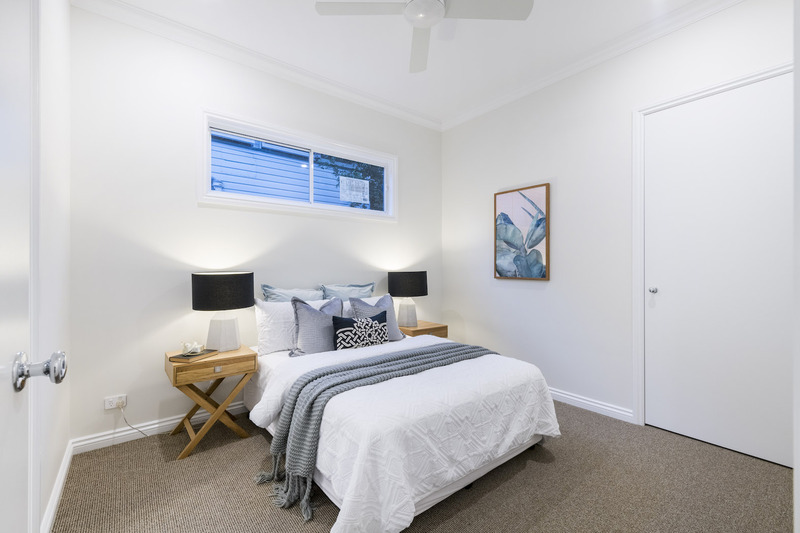 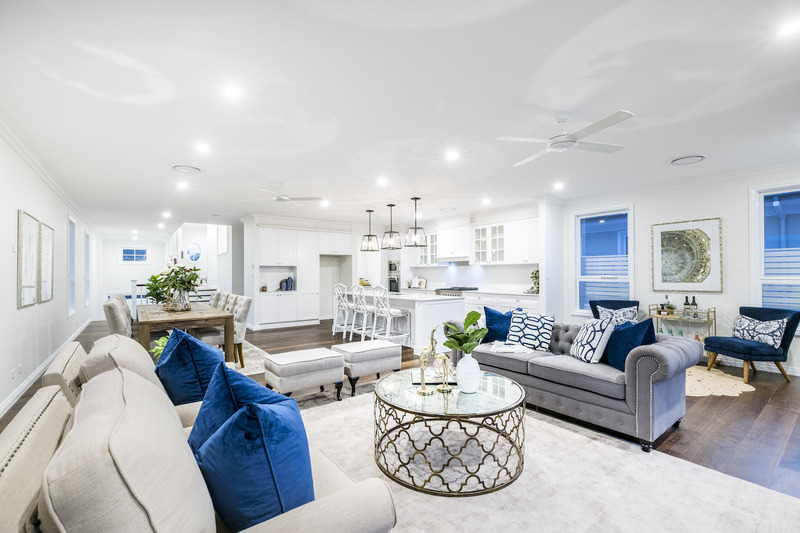 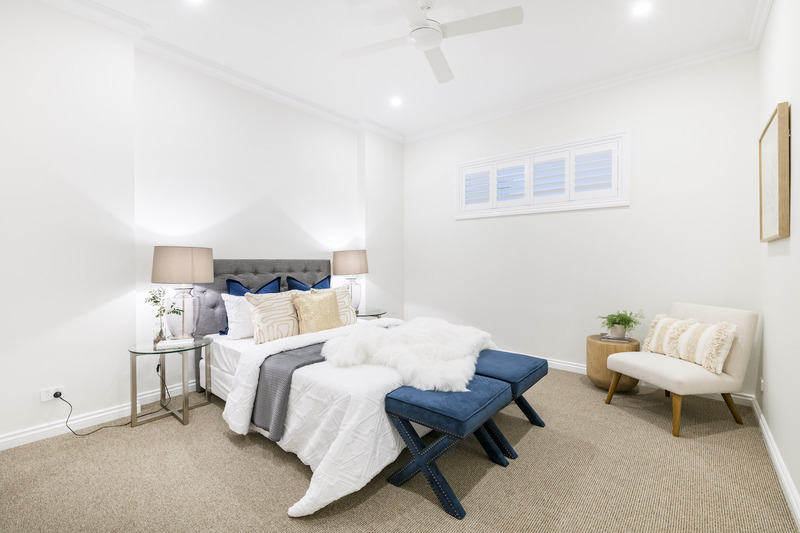 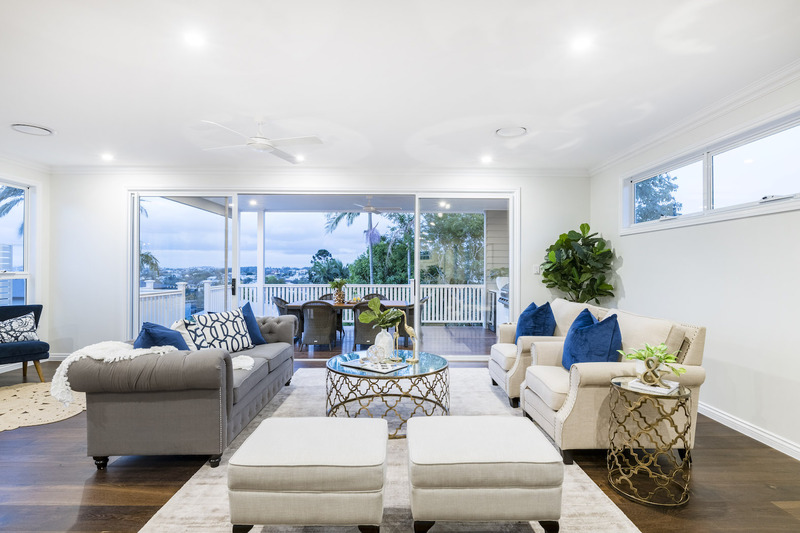 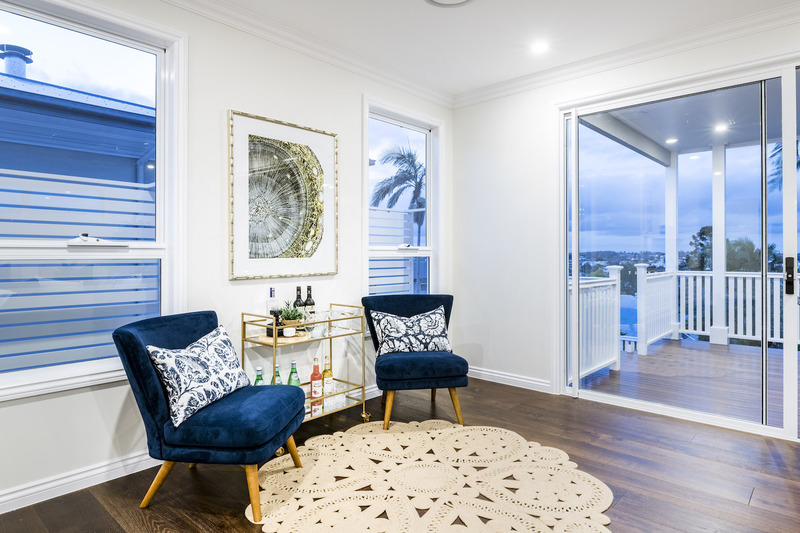 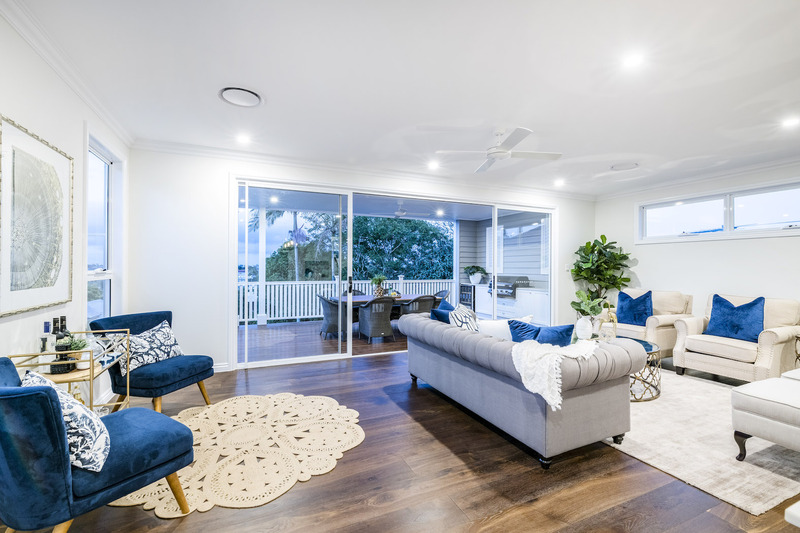 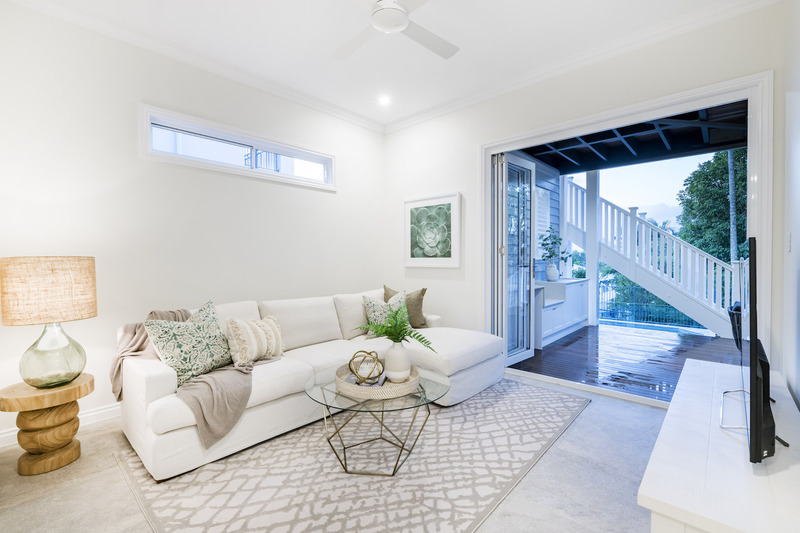 Positioned at the front of the home this versatile room features a gorgeous oval windows and french doors that invite in natural light and provide access to a Juliette balcony with sweeping views of the street and surrounding suburb. 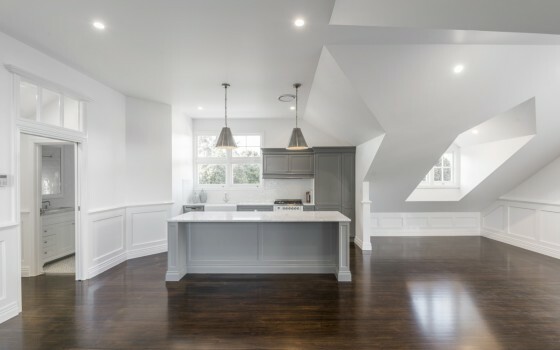 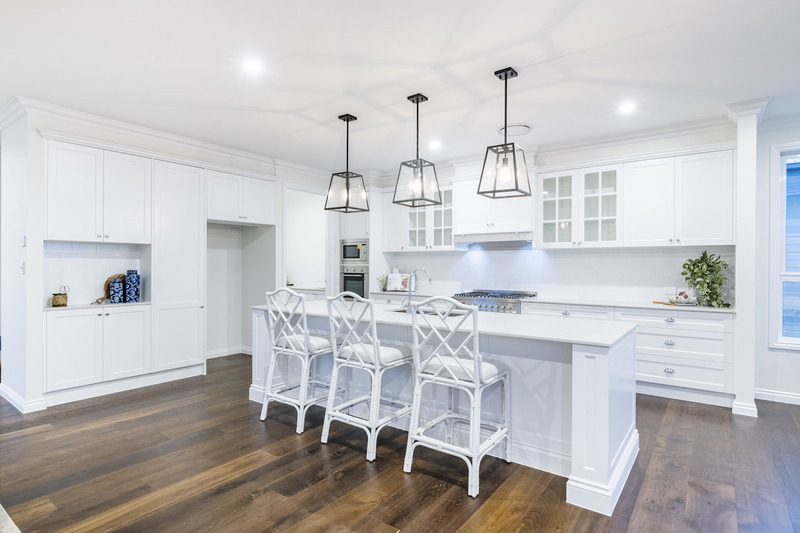 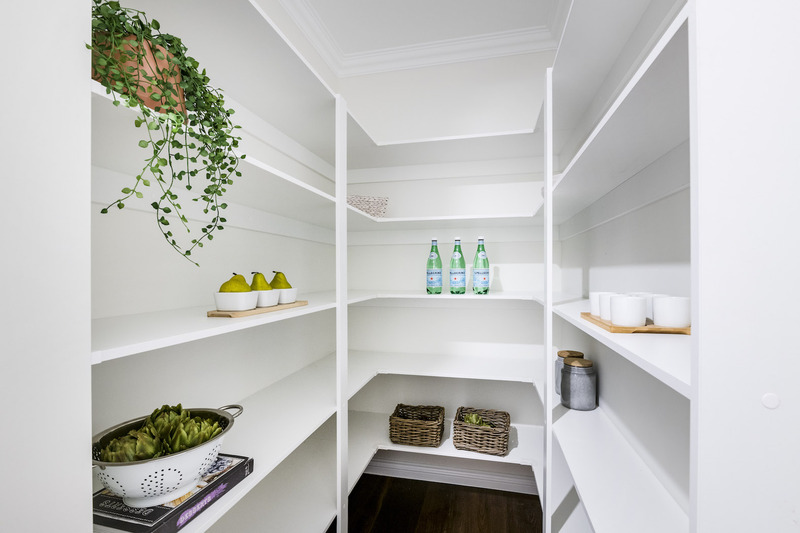 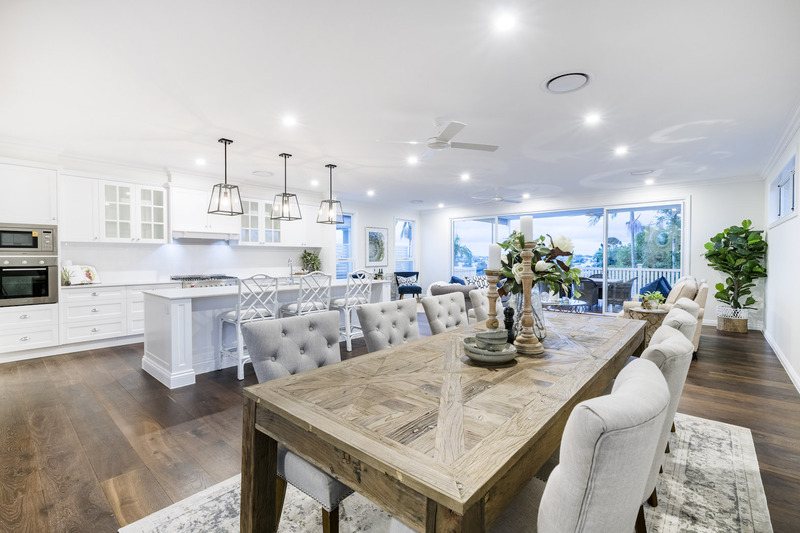 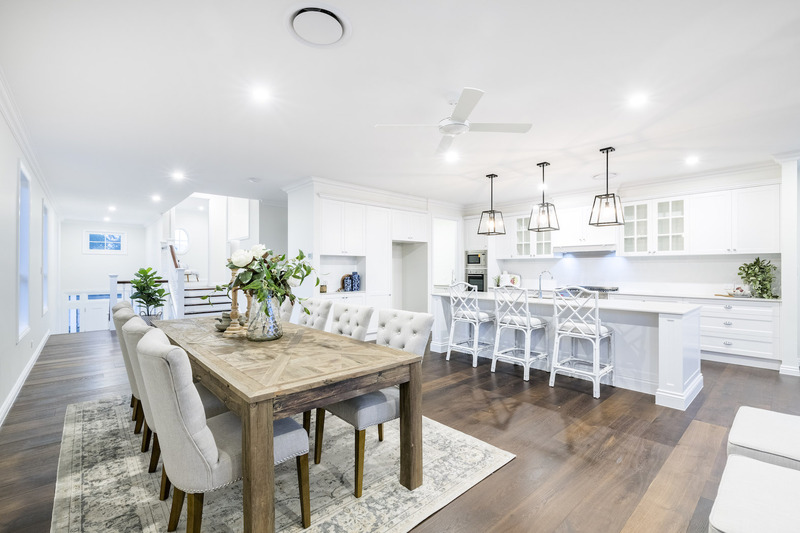 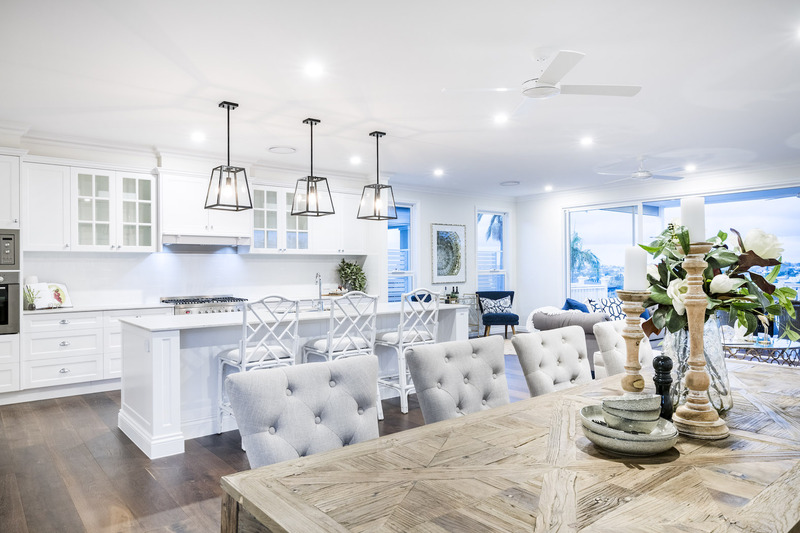 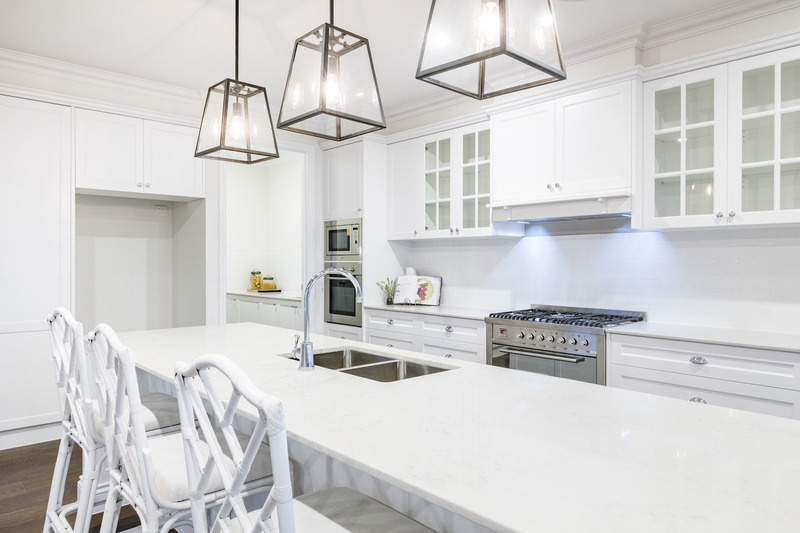 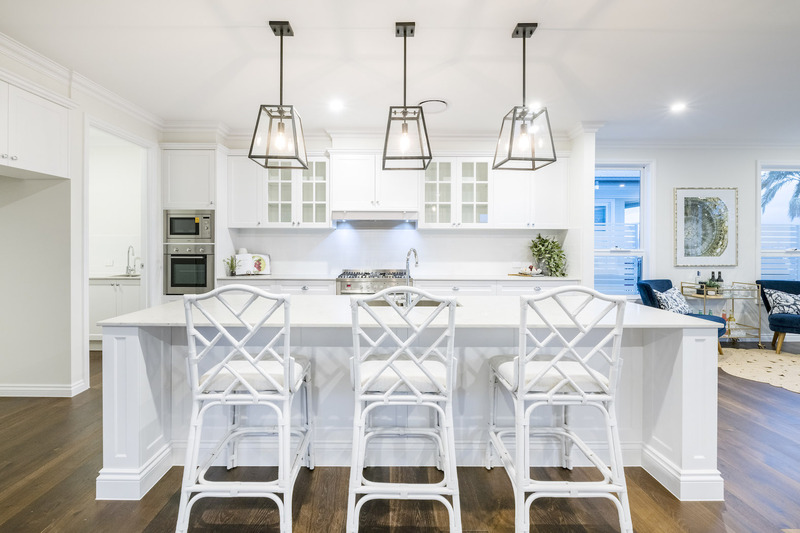 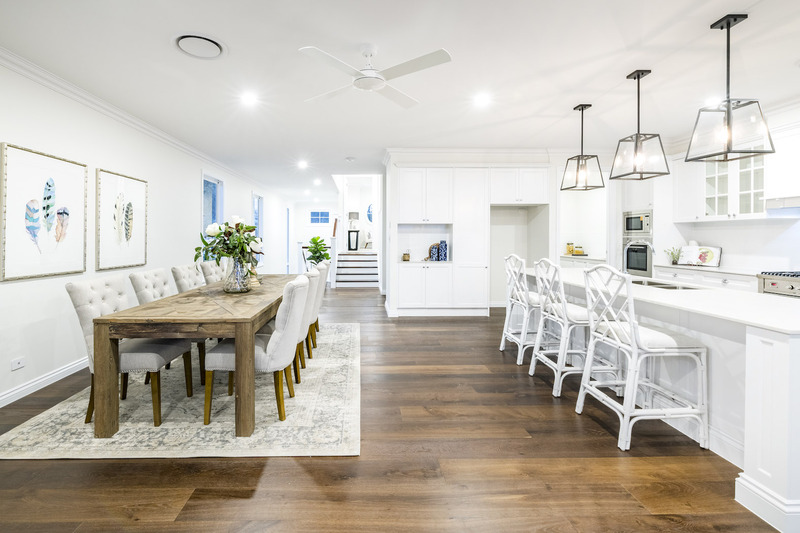 With respect to the kitchen finishes, the home features stone bench tops throughout, ILVE appliances including a freestanding oven and wall oven, a Miele dishwasher, an abundance of cupboard space and a butler’s pantry with a second sink. 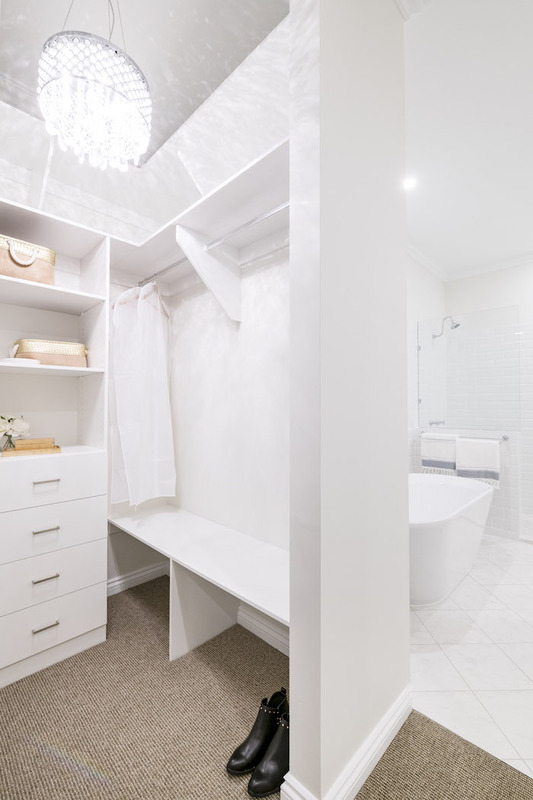 On the lower level of the home you will find a large walk in linen cupboard, a cosy lounge room adjoining the lower level deck with built in outdoor kitchen and BBQ area, a mudroom, laundry, 2 large bedrooms with a shared 3 way bath/powder room and the master suite with double walk in robe and ensuite with freestanding bath. 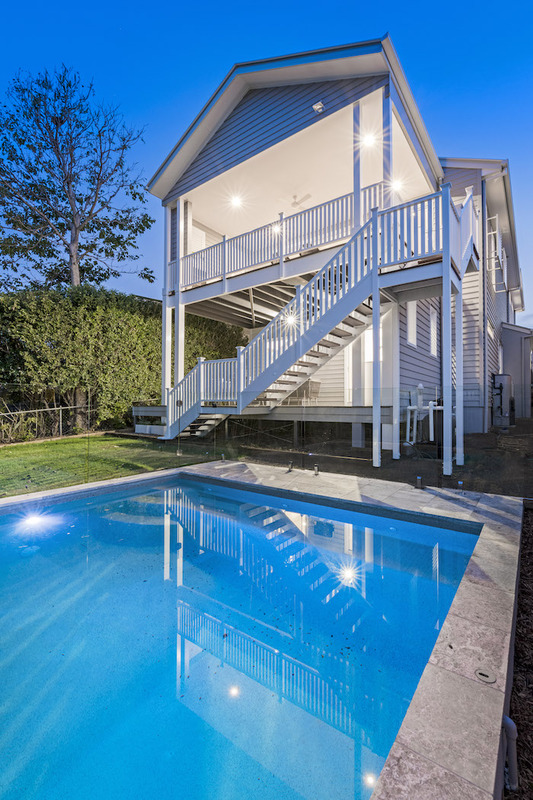 This build was a complete turn key solution that included completed driveway, landscaping, fencing and pool.